Looking for a low cost professional carpet cleaning machine? 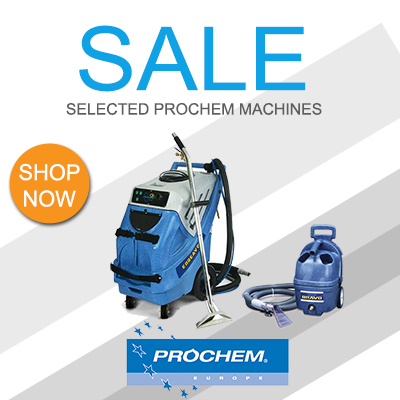 Look no further because the Prochem machine sale is now on! We’ve dropped the price of some of the best selling Prochem carpet cleaning machines to offer you huge savings. Whether you’re an established professional carpet cleaner or you’re just starting out, now’s a great time to grab one of the Prochem machines at a knock-down price! Prochem’s carpet cleaning machines are developed for professional use. The machines provide incredible power, ease of use and durability so that you can achieve the finest results for your customers. The Prochem Bravo Spotter – Was £625 NOW £595! This handy machine is the ideal solution for the spot cleaning of stains and heavily soiled carpets, carpet edges, stairs, upholstered furniture and car interiors. The machine comes complete with a hand tool to harness all of its power onto smaller areas. It can also be fitted with a carpet cleaning wand to clean larger areas of carpet. The Prochem Comet – Was £1,435 NOW £1,325! The Prochem Comet is a great choice for cleaning medium sized carpet areas such as within homes, schools, churches and hotels. 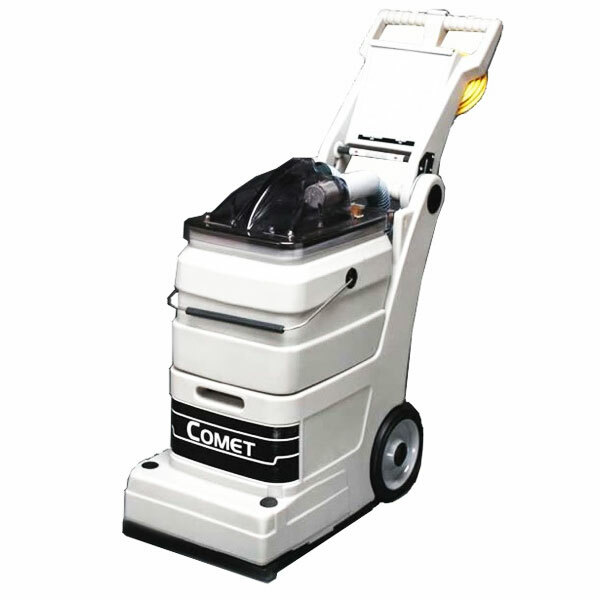 The Comet features a power brush which works the carpet cleaning solution deeper into the fibres, loosening trapped dirt and bad odours from deep down. The Comet can also be fitted with a hand tool to enable the spot cleaning of stains, high traffic areas, carpet edges, stairs and car interiors. The Prochem Fivestar – Was £1,570 NOW £1,450! 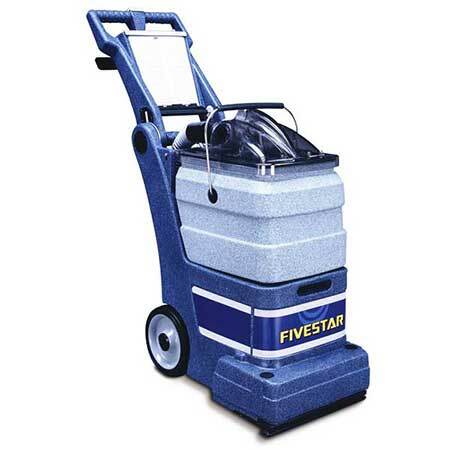 The Fivestar is one of Prochem’s most popular machines. The machines offers great versatility, allowing you to clean carpets and hard floors. A hand tool can also be used with the Fivestar to clean carpeted stairs, carpet edges, stains and car interiors. The Prochem Steempro Powermax – Was £2,425 NOW £2,140! With its incredible cleaning power, the Steempro Powermax is one of the most popular professional portable carpet cleaning machines. The Powermax features dual 3-stage vacuums, 150psi pump and a built-in silencer to lower the noise output. The Powermax is ideal for cleaning larger carpeted areas within offices, schools, nursing homes and hotels. Hand tools are also available to increase the versatility of the machine, allowing you to clean carpeted stairs, carpet edges and car interiors. The Prochem Endeavor – Was £4,045 NOW £3,475! The Prochem Endeavor is one of the newest additions to Prochem’s range of carpet cleaning machines. 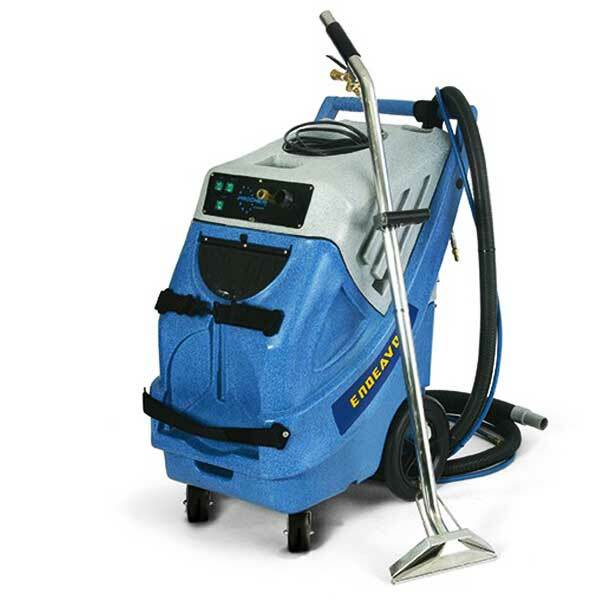 The Endeavor is Prochem’s largest portable machine and is ideal for cleaning large carpeted areas within schools and colleges, hotels, nursing homes and offices. 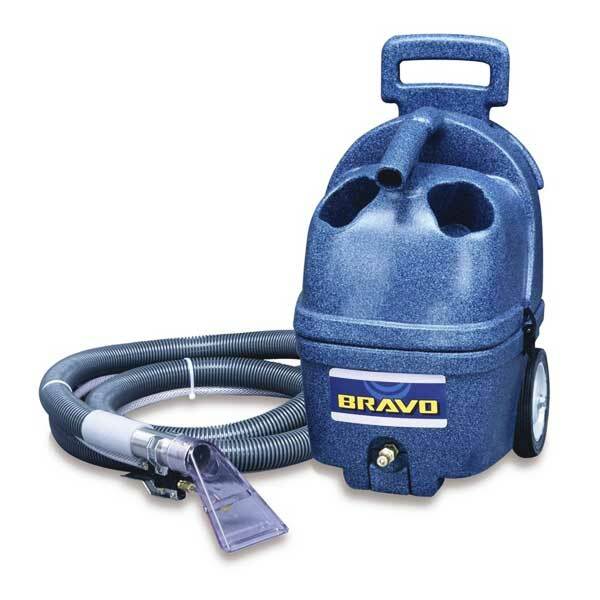 With its large solution and waste tanks, powerful 220psi pump and ease of use, you can power through the toughest of carpet cleaning tasks with ease! Click to see the full range of Prochem portable carpet cleaning machines.